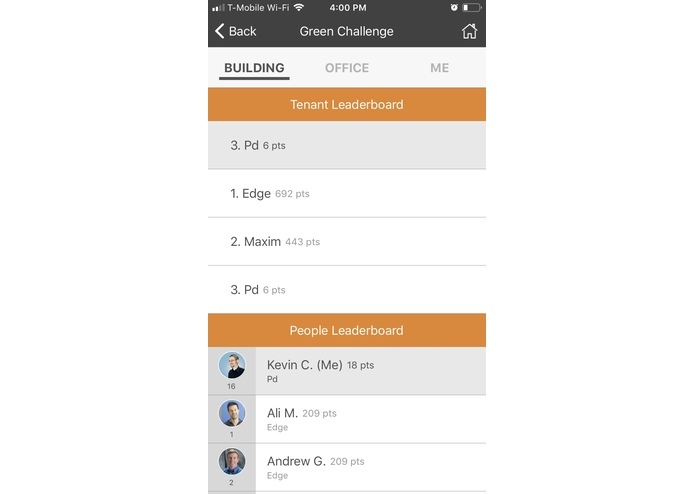 Helping owners run greener buildings by affecting occupant engagement via green tenant app features. 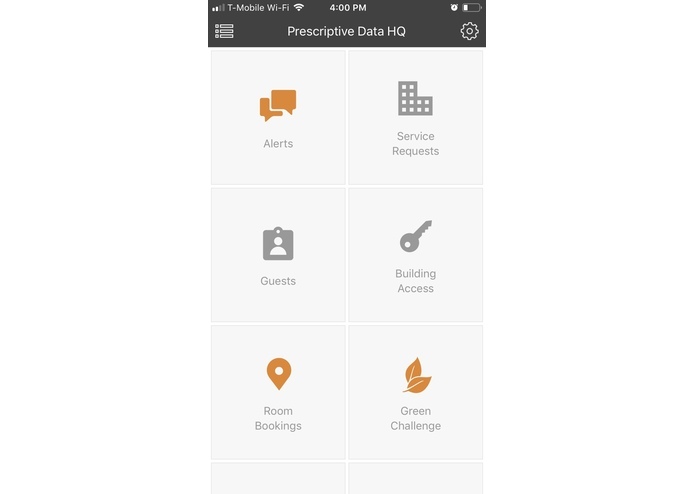 At Prescriptive Data one of our main goals is to help building owners and tenants find ways to run their buildings more efficiently so that they can reduce energy usage and save money. Studies show that 50-80% of a building's energy use comes from the very building occupants themselves. 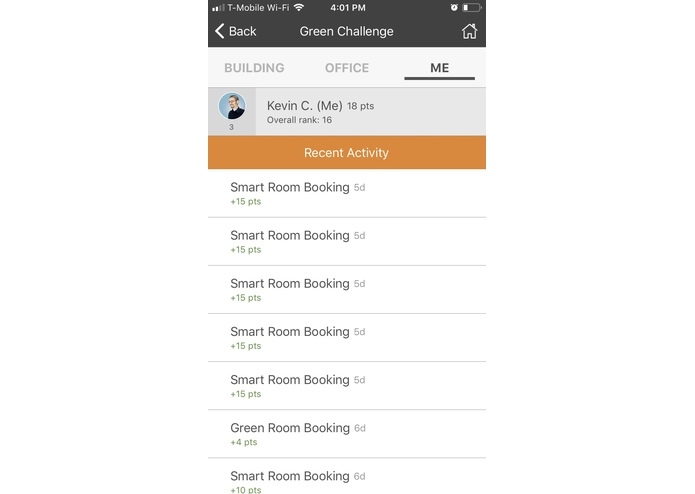 We thought it'd be an interesting challenge to see if we could build features within our tenant experience app that could drive tenant occupants to behave in a more "green manner". So while most tenant experience apps contain features that aim to satisfy and delight the tenant, what if there were a way to do all those things but still make them conscious of their energy footprint within their building. This is what the "Seeing Green" project aims to achieve. 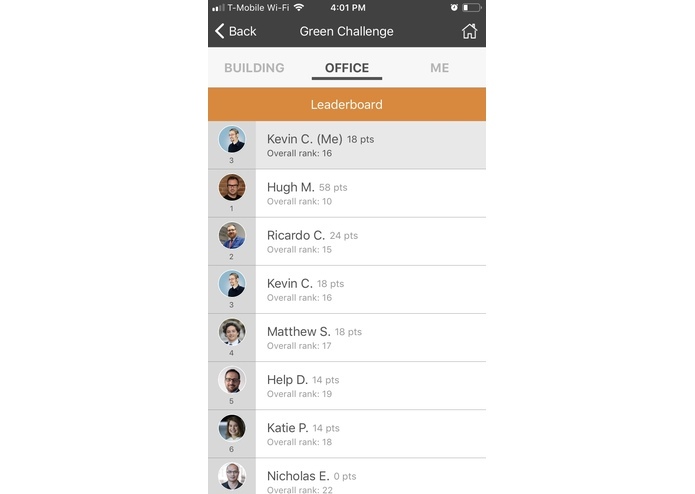 Seeing Green is a collection of tenant app features that aim to help building owners and tenants increase occupant engagement. 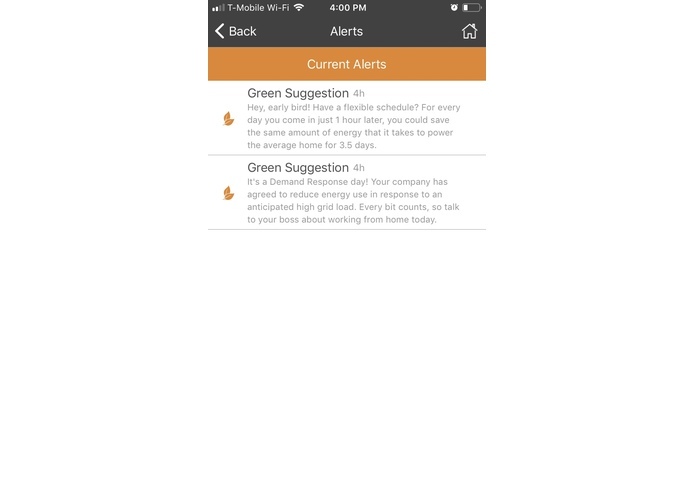 Send actionable recommendations to users on how they can reduce energy usage. Recommendations are personalized based on their activities and habits within their building. Find rooms that utilize the least amount of watt/sf based based on real-time energy efficiency information. 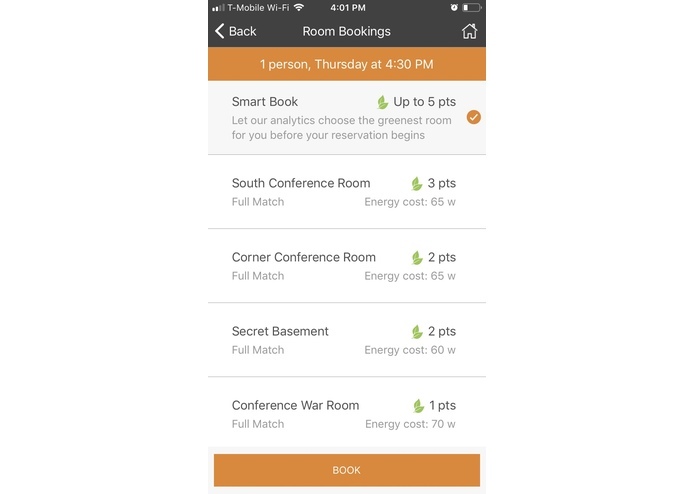 Book the greenest room just before your meeting starts through “Smart Book”. A simplified resistance capacitance (RC) network model is used to approximate the the building's thermal dynamics. Pre-heat / pre-cool rooms within comfort-band based on booking schedules. Turn-on / off amenities such as lights and televisions just before a meeting starts / completes. 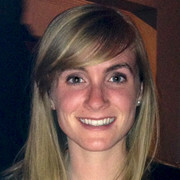 Ties green actions to accountability through gamification. Tenants and building owners can offer green challenges between tenants. 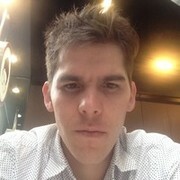 Track points for tenant actions to see how they’re helping/hindering their office. Our prototype leverages existing features from our NANTUM Tenant Experience app and NANTUM Core and Shell products. Our features are built using a cross-disciplinary team that includes front-end, back-end engineers, IoT/hardware engineers, and data-scientists. What's next for the Seeing Green initiative. 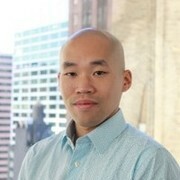 Explore building out M&V tools that could report to building owners and tenants the effects of these green campaigns. Integrate building wide competitions such as "Mayor's Carbon Challenge" into the campaign and contest feature. Investigate more sophisticated reward incentives (e.g. 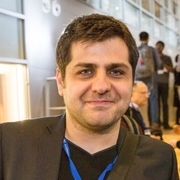 energy credits/crypto currencies) for tenants. Finding ways to turn life into one huge Google spreadsheet.